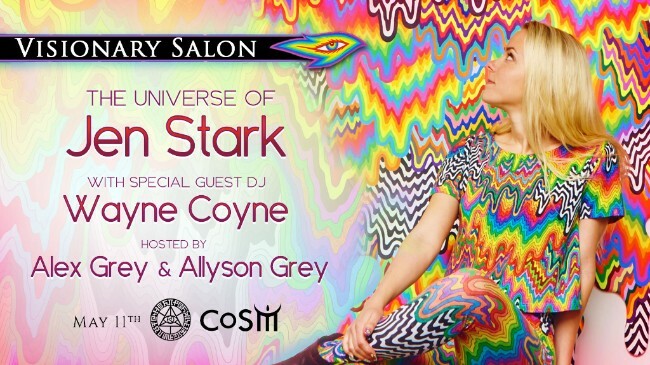 PLUS, a special DJ set by Wayne Coyne. Limited tickets available. CLICK HERE to sign up. 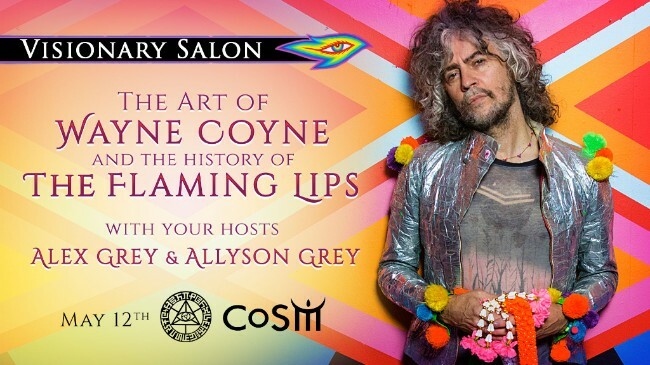 the art & music of The Flaming Lips frontman, Wayne Coyne. Followed by a Q&A with Wayne, Alex & Allyson. Early private meet & greet with Wayne! Discussion in the Library at 12:30pm. 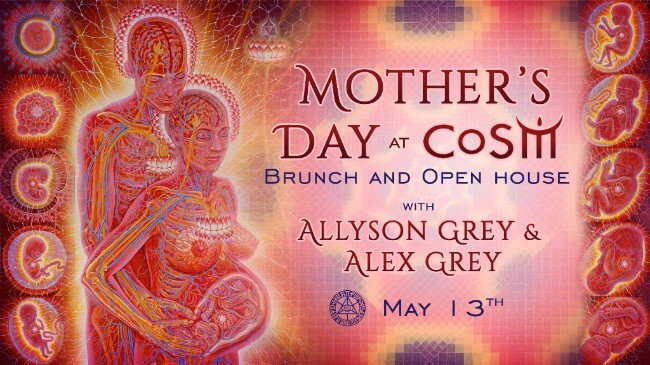 On Sunday, May 13th, celebrate Mother’s Day with Allyson Grey & Alex Grey at CoSM. Through the common thread of birth, we come into this world, ushered by the benevolence of motherhood. On Mother’s Day we honor and celebrate the influence of mothering on our lives. Join Alex & Allyson for a special Mother’s Day brunch in the Dining Hall. 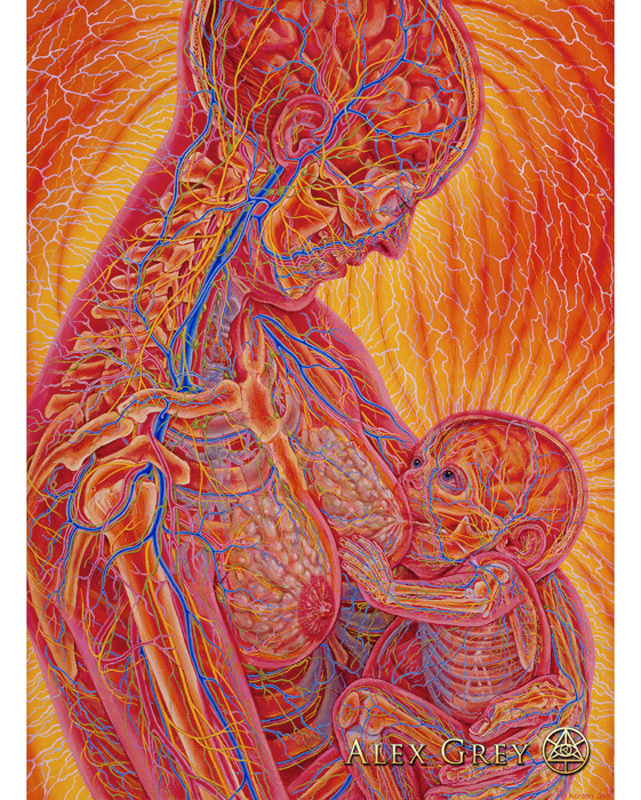 Nursing, painting by, Alex Grey, 1985. Following the brunch there will be, in the Library, an open discussion about the powerful role of the Divine Mother. 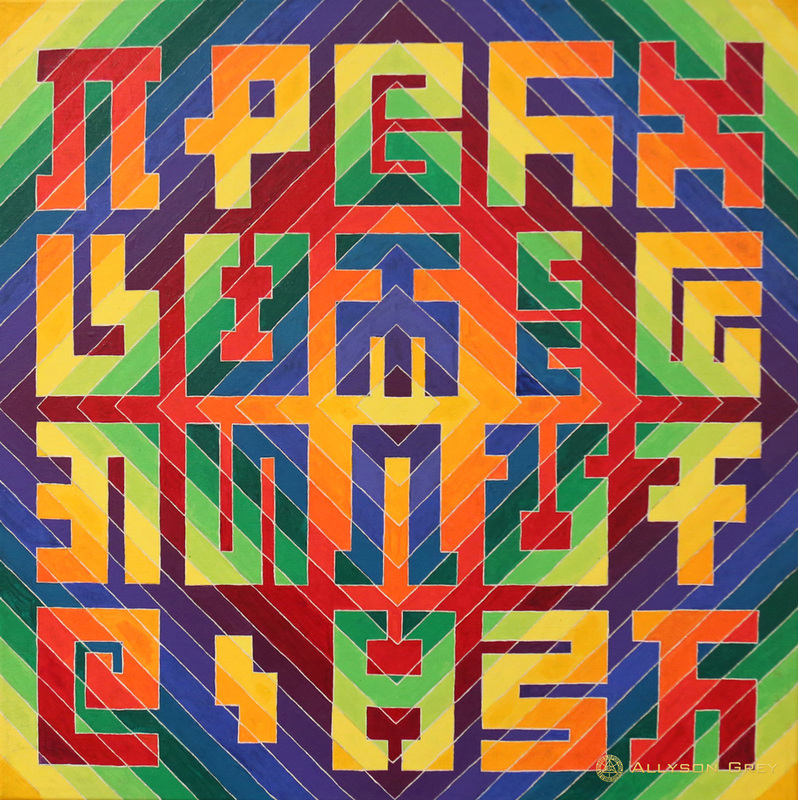 Families, children, solo — All are warmly welcome! Surrounded by the beauty of Mother Nature in bloom, connect with mothers and children at this very special Mother’s Day gathering.